There is something alluring about going deeper. For some it is just achieving a certain number, some want to see a wreck and others are just curious as to the change in life at depth. There are many reasons for doing a deep dive and many reasons to not do them. Recreational level deep dives consist of dives between 60’ and 130’ within the no decompression limits. Once you decide to do deeper dives, there are things to consider and extra precautions to take. 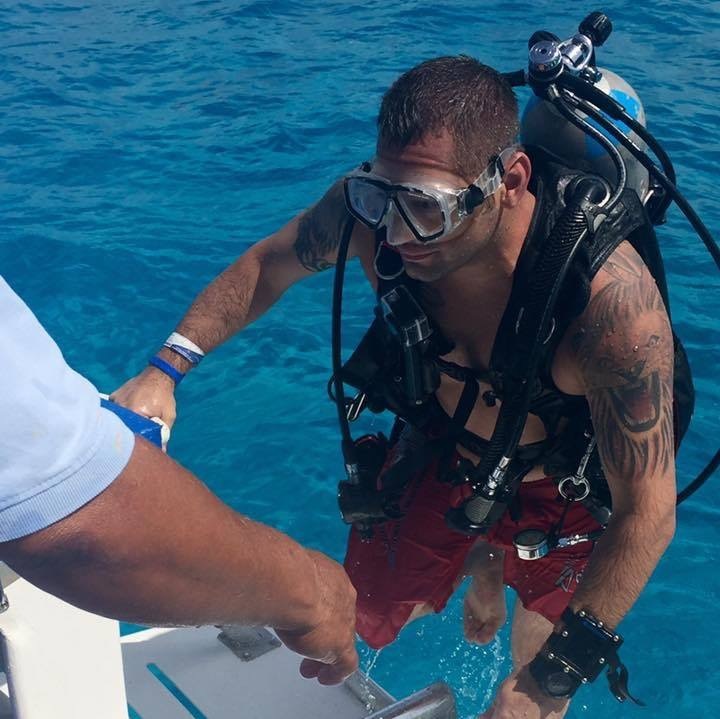 Your basic dive skills should be completely dialed in. You need to have good trim and great buoyancy control. You should know how to do a frog kick and a modified flutter kick. The next big thing that needs to be understood for deep diving is you and your buddy’s Surface Consumption Rate (SAC). This is the amount of gas/air you use at the surface per minute. This information will allow you to formulate a dive plan based on the amount of gas you are bringing. Don’t forget to account for the time it takes to ascend. Ascending from 130’ to 15’ takes about 4 minutes. You have to do a 3 minute safety stop so keep that gas requirement in the plan. The next thing to consider is your NDL’s. These get significantly shorter as you approach the 100’ mark (Nitrox anyone?). These items are all tools to plan your dive. 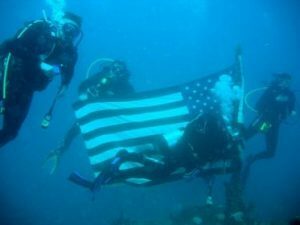 You should understand how to plan your dive with your buddy/team and everyone should know the plan. Everyone in the team should be able to execute the plan without help or prompting for another team member. If you are diving deep, you must ensure your regulators are high quality so they are capable of delivering plenty of air at depth. Most modern regulators are fine to dive within the recreational depth limit of 130’. You will also need a light. You need this for two reasons. First, as you descend colors are absorbed so you will need a light to see the true colors. Second, even if visibility is good, you will lose some ambient light as you descend. If you are not currently diving with a spool and DSMB, start! In deep dives these are mandatory equipment. Knowing how to use them is also mandatory, so practice. The deeper you go, the longer it takes to ascend. If you get swept in current, the sooner a marker is on the surface, the sooner the boat crew can know your location and direction. Get some sort of audible surface signaling device also. If you dive with a dive computer, please know what it is telling you on all of its screens. Also know what happens if it does go into decompression and how to clear your decompression obligation completely and safely. If you dive tables, understand what the requirements of your tables are regarding emergency decompression. Better yet, invest in a dive computer. Most of these procedures are simple but it is amazing how many people don’t know what to do when the situation arises. I have been on the boat too many times when someone surfaces with a beeping computer. I don’t need to know anything about the computer to know that the person has not properly cleared a decompression obligation the computer had. Another item many divers take when they start pushing depths is some sort of pony bottle with extra gas. This can be mounted on your tank or clipped to your side. Most people carry an additional 30 or 40 cubic feet with this. This option requires extra prep and training but can give an additional margin of safety should someone in the team have catastrophic equipment failure. As I mentioned in the first paragraph, some people just want to do a dive to a depth to be able to say they have been there. This is not regarded as a good reason to do a deep dive. Should you choose to do a dive simply to achieve a number, plan it well and make sure your team is all on the same page. Do not plan the dive assuming nothing bad will happen when you bounce to the deep part of the dive. Murphy is always around and the deeper you go (even for a second) the more likely he is to strike. If you cannot do an alternate air ascent from your deepest depth, you are not prepared to do the dive. Having a malfunction at 130’ is a big deal. If you were only prepared to do a dive to 100’, the results will likely be bad. The last thing to mention is inert gas narcosis (sometimes called nitrogen narcosis). For most people, this starts to become noticeable at around 100’. This is important because you become impaired under water. It starts by slowing your mechanical and mental abilities down. It can get worse to make you act completely foolish. Some people also experience what is called a “dark narc” where they get a feeling of impending doom. All of these conditions add to the danger of diving deep because if something that requires action to rectify, you may not make the decision fast enough or at all. If you feel narcosis coming on, ascend some. You will be less affected at shallower depths. It is never wrong to end a dive for any reason. Technical divers add Helium to their gas for deep dives to help reduce narcosis. Now that you have decided that deep diving is something you want to do, GET TRAINING. Get training by someone who actually does deep dives on a regular basis. They understand the risks and requirements far better than someone who “can” teach deep divers but rarely venture below 30’. As you learn to dive deep, push your limits slowly. There is plenty to see along the way. A motto we live by in the tech diving world and one that needs to be introduced in Open Water: Any diver can call any dive for any reason at any time, no questions asked!